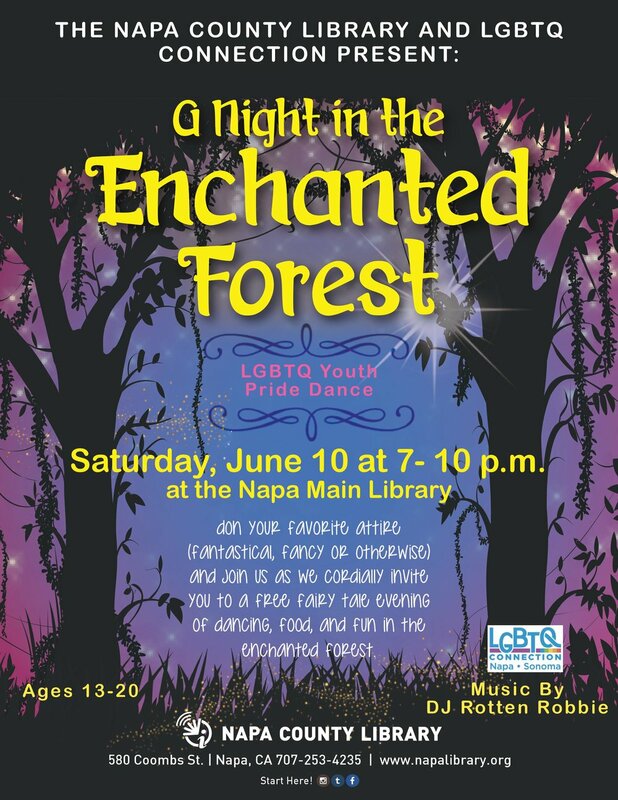 LGBTQ Connection is thrilled to announce our 2017 Pride month events for Napa County! 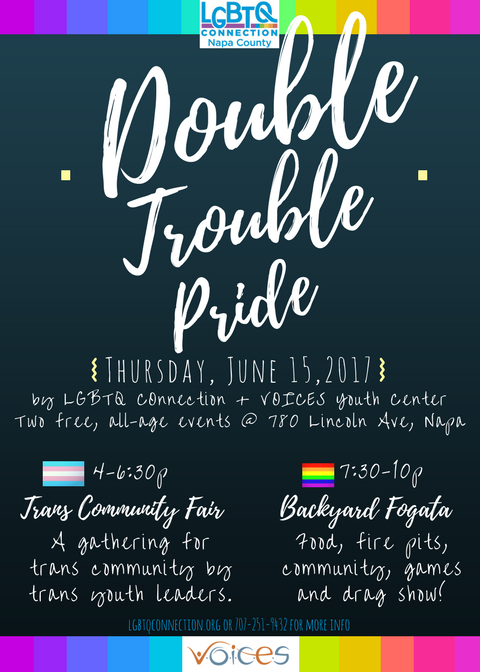 In partnership with our youth leaders, and possible due to donations from our community, LGBTQ Connection is officially sponsoring several events to celebrate June 2017--LGBTQ Pride month! 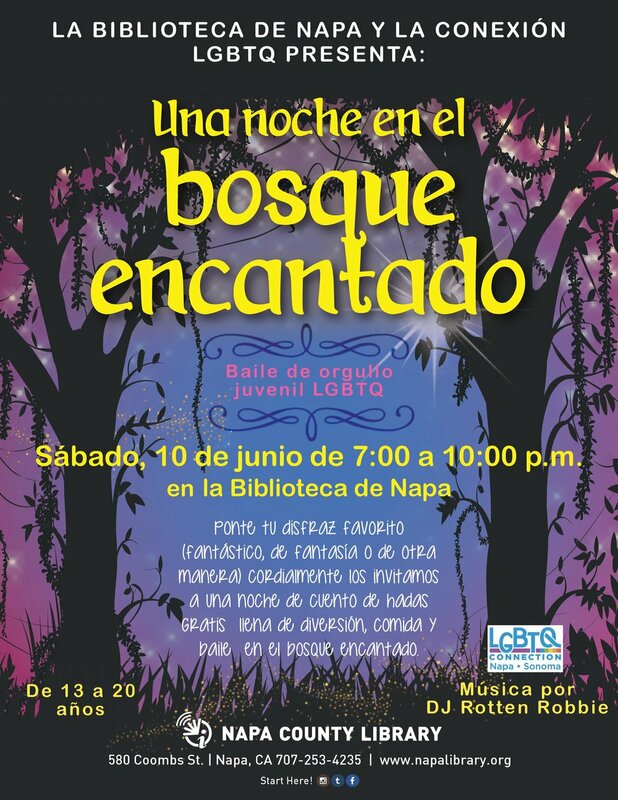 Thurs, June 15, 7:30-10p: Backyard Fogata-food, fire pits, community, games & drag show! Click here for a printable version of the Pride 2017 Napa County event list. Are we missing something? Send us the details!